THE LAW FIRM OF FITZGERALD, REESE & VAN DYNE, Co.
At some point in your life, you will need an attorney. You should choose your attorney based on experience and honesty. You want someone who will guide you through a difficult time and who will provide you with honest answers that come with years of experience. Richard T. Reese is that attorney. He will listen to you and provide honest, straight-forward advice no matter the situation. No two cases are ever the same. Each case will be dealt with individually taking into consideration your wants and needs. Are you establishing a new business? Are you facing unknown territory in your existing business? Business law can be overwhelming, even for experienced entrepreneurs. Handling your business needs without an experienced attorney can put yourself, your assets, your employees, and your reputation at risk. Expert legal advice is essential to the life of a business. Richard Reese is skilled in business and commercial law, setting up and representing small to large businesses, including sole proprietors, partnerships, limited liability companies and corporations. He will safely guide you through the process of structuring your business. He will ensure that you are choosing the appropriate type of entity and will aid you in planning, operating and managing actual or potential litigation. He has the legal experience and knowledge to assist in all of the legal needs of your business. As a business owner himself, he knows first-hand the obstacles and unique challenges that you may face. Have you been injured? Has your family suffered the loss of a loved one due to a wrongful death? Personal injury can happen in a multitude of situations. In the over thirty years that Richard Reese has been practicing, he has seen it all. He has represented people suffering from injuries due to automobile accidents, criminal assaults, slips and falls, work-related incidents, and many, many more. These situations can cause such pain and suffering, mental anguish, and often times a real financial hardship. Richard Reese is compassionate and understands the difficulties that people face when these unforeseen events happen. He will fervently fight for your right to an award in a court of law or a settlement outside of personal injury litigation. Working together with his paralegals, private investigators, nurse consultants, liability expert witnesses and medical experts, he will effectively maximize the recovery in every case that he handles. Have you made the difficult decision to end your marriage? Are you feeling overwhelmed concerning a family issue? Richard Reese understands how stressful and emotionally draining this can be. He has been helping people go through these life-changing decisions for over thirty years. During these times, you need an attorney who will show compassion and be accessible to you. You need an attorney who will take the time to make sure you understand the legal process and what to expect. Richard Reese is that attorney. He will work directly with you until your issue is resolved. He will make sure that you understand the legal process and the realistic expectations, so that there is no uncertainty or confusion concerning the outcome you may face. Whether your issue is divorce, child custody, child support, or any other number of family issues, he is dedicated to achieving your goals in a professional manner. He will guide you, protect you, and stand with you. Richard Reese and his wife reside in Ada, Ohio. Born and raised in Lima, he has practiced law in the area since 1981. Within that time, he has furthered his strong ties to the community. 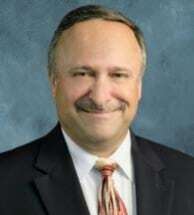 He has been a Member and President of the ASTOP, Inc. Board of Trustees (2002 – 2009) as well as a Member and President of the Board for the Ada Planning Commission (1999 – 2010). He has served on the Rhodes State College Foundation Board (2004 – 2009) and has been serving as an Advisory Committee Member for the Rhodes State College Legal Assisting Program since 1994. He also enjoyed volunteering as a youth soccer and baseball coach for various age groups from 1991 to 2008. The Law Firm of Fitzgerald, Reese & Van Dyne, Co. is conveniently located in downtown Lima. We serve clients throughout Allen County and all of northwest Ohio.